Other than the Beta itself, I have narrowed the big performance issue down with Battlefield 4 that I myself and many others have been experiencing. From adjusting all settings and still low frames and stuttering, and reading the Battlefield 4 forum on performance problems, there was a pattern I began to see. Those like me with Windows 7 had the low frames, and stuttering. With Windows 7 started out with 10-20 fps, through adjusting settings improved to 30-50 but still stuttering bad. Those with Windows 8 were reporting higher frames for the most part, and smoother gameplay. I installed Windows 8 Enterprise edition (90 day trial) on a second spare hard drive. Installed the hardware drivers, Nvidia 331.40 Beta driver, Origin and Battlefield 4 Beta. With Windows 8 after installing, game auto set my game setting between Ultra and High, WITH HBAO Occlusion on. And to my surprise, 62-95 FPS and smooth as butter. I running a AMD FX-8350 8 core at 4.4 Ghz, with a Asus GTX 660 TI and 16 GM of system ram. Could not get over 52 FPS on Win 7 all week, with frame drops down to as low as 11! A few weeks later, as you’ll see further on down below, found 3-4 cores going parked during game on Windows 7. Unparking cores on Win 7 gave me much smoother gameplay and higher FPS. Bringing up the console and typing “list” (no quotes), press enter will show you this entire command list above. Most of the commands below enables by 1, or true on end of command line. To disable enter 0(zero), or false. perfoverlay.drawFPS 1 press enter, to enable on screen FPS. perfoverlay.drawgraph 1 press enter to enable. 1 to enable, Zero (0) to disable, press enter. Sets a frame rate limit of 70, change number to your liking. A custom user.cfg file can be created and the file added to BF4’s game directory with ANY of the console commands. Then copy and paste this new user.cfg file into this location below. C: > Program Files (x86) > Origin Games > Battlefield 4 folder. You will know it loads when game starts with FPS in upper right corner of game. (FPS command Perfoverlay.DrawFPS 1 is in .cfg). Your FPS should not go higher than 70 due to “GameTime.MaxVariableFps” is capped at 70 FPS in user config above. Note – need to do with game itself shut down, not running. File will load automatically on every game start, running the commands & settings above. -If you don’t want performance graph (perfoverlay.drawgraph 1), just change 1 to 0 (zero). Zero disables that line. – Change GameTime.MaxVariableFps to your liking, or monitors refresh rate or remove the line. What is the benefit of limiting or capping your fps? This only benefits computers that can run a consistent 60 FPS as minimum, and higher FPS. FPS changes on certain maps, action and game play. FPS often fluctuates between low minimum & high maximum without a FPS command cap. This can be a big fluctuation on certain hardware. Since a running a consistent 60 fps is considered minimum and smooth game play, why overwork your computer? This generates more heat, and you might experienced a bit of “pc lag” when your fps drops for example and suddenly rises or catches back up to 100+ FPS in game. My suggestion is to remove the FPS Cap Limit (GameTime.MaxVariableFps) to test game video settings, and commands above to maximize. to see your maximum fps. Once tweaked, and if you are running 60-70++ fps, THEN cap your fps just a bit higher. The “perfoverlay.drawgraph 1” will show a cpu & gpu performance graph in bottom left of screen. This graph shows response times in milliseconds. The yellow line is your cpu, the green line is your gpu. Both lines should be low and even together. High spikes means a problem. For example if green line (your gpu) is spiking higher, and over the cpu (yellow line) this usually means your gpu is slower than your cpu and “bottlenecking” performance. You can remove any commands or enable or disable the commands, from this file. Open in Notepad. Just remember 0 (Zero) disables the command or function, 1 enables the MOST of the commands. Or just delete the libe entirely and re-save file. Just re-save the file as is. Most be .cfg extension. Remember, check your Nvidia or AMD settings, adjust your in video game settings. What I initially done is used Spectating Mode. “Spectating” givers you the closest idea on fps, without actually playing and adjusting settings. Change video settings one by one to monitor FPS changes. It will give you a good idea IF user.cfg and adjusting video settings are benefiting your fps AND overall performance. An explanation to Battlefield 4 video game settings are near bottom of this page, and my particular settings. MSI Afterburner 3.0.0 Beta just recently released it’s 64 bit game support back for OSD, which will show FPS, gpu usage, temps and alot more. Post Processing: Turn down Post Processing. It’s is heavy on your computers hardware & game FPS. You will notice an increase in fps if you turn this setting down. It puts extra load on GPU to produce better image quality, for better performance set to low. On high or ultra, I noticed a 12-16 drop in fps. Antialiasing Post: OFF – Antialiasing is heavy on hardware. It does make the objects look smoother but if your PC isn’t powerful enough, you may want to disable it for better performance. Texture Quality: Lower the texture quality if graphics card has a low quantity of memory. Change this setting depending on your GPU’s specifications. Texture Filtering: Higher makes everything look sharper, set to low for better performance. Just like Mesh below, if you have the performance Texture Filtering you want to set as high as possible, otherwise turn it down for better performance. Mesh: If you have the hardware, and decent fps this is the one setting you want as high as your pc can handle. It actually affects the rendering of distant objects. Ultra or High allows you to see enemies/vehicles better, clearer at greater distances than lower settings. It can be a useful feature in a game like BF4, but if you have a lower end cpu, not overclocked and if resources are the issue, you should reduce it to medium or low. “Mesh” is highly cpu dependent, and it will squeeze your cpu. Vsync: Recommend to turn VSYNC off to reduce input lag. Your call here, experiment with game options and Nvidia control panel settings. They say to “turn VSYNC off to reduce input lag”. I tried using Nvidia’s “adaptive vertical sync” setting in Nvidia’s control panel. I did not noticed any input lag myself. Weapon DOF (Depth of field): Turning off will help fps a bit. You will loose some eye candy but it will make the rendering smoother and system lags will be reduced. 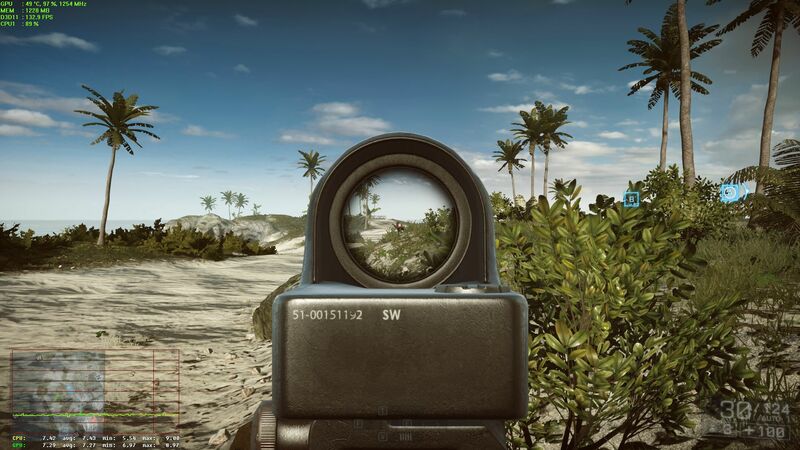 “DOF’ On will show a slight blur around iron sites or scope as you aim down site. Ambient Occlusion – Turn Off. HBAO is the hardest hit on FPS, the other setting isn’t any better. When activating any of the 2 options, I mainly seen an fps drop with the HBAO setting. I seen no difference in image quality overall with either settings off or on, and that is with restarting game on each change. Resolution Scale – 100% or lower. Lower 90-95% for example will help FPS. Higher than 100% will give you better visual clarity, and will drop your FPS. Over 100% will increases the load on your gpu & cpu and increase video ram usage. FOV – “Field Of View” default of 70. Increasing gives a wider view of left & right of your screen, puts more load on your gpu & cpu and will drop fps. If your looking for more FPS, keep this at 70 or a bit lower. Maximizes performance and minimizes intrusion when full-screen applications are running. Postpones scheduled tasks (for example, virus signature database updates or scheduled computer scans). Disables notification windows. Minimizes CPU usage by ESET to improve system performance. First day using Nvidia 327.43 WHQL. Fps of 15-35 stuttering, lag and response was so bad could not move at all in game. 331.40 beta driver, fps of 30-50. Better FPS but still stuttering and choppy. With big frame drops down to 25-30. All video settings set to low. Tested with 2nd boot drive, with no Windows updates, just motherboard drivers, 331.40 Nvidia beta driver, Origin and BF4 beta download and install. – 62-105 FPS. Average between 70-85 fps. – Never dropped below 60. No stuttering or any lag at all. 11-15-13: There is no question Battlefield 4 does run smoother, a bit more FPS on Windows 8. I am not upgrading an OS for a game. This mainly pertains to 8-core AMD’s or Intel i7 (sandy bridge or newer). This core unparking however has no effect on performance with i5 or AMD 4-core processors in Battlefield 4. 11-4-13: Discovered 1-4 of 8 cores on my AMD FX 8350 going in and out of “parked” state, during game. Caught some cores activating while others were going into “parked state”. Unparking all cores, turning OFF in Bio’s – AMD Turbo, Cool & Quiet, C1E, SVM, Core C6 state, HPC mode fixed my stuttering and low fps drop issues on Windows 7. Unparking the cores activated ALL 8 cores spreading the load out evenly. Disabling the above mentioned Bio’s keeps the Ghz speed consistent. This was the difference in performance from testing on Windows 8 below, and Windows 7 for me. 12-1-13: All 8 cores “unparked”, Cool & Quiet setting disabled in Bio’s on Windows 7, 1080p, un-capped fps ran 60-120 fps depending map with the above settings now. FX 8350 OC’d at 4400 Ghz. 660 TI OC’d at 1170 boost clock, (GPU-Z reports 1267 Ghz), video memory at 6562 Mhz. Full out Ultra game settings on Windows 7 = 52-78+ fps depending on map. FPS 60-120, averages 70-95, with lows bottoming out at 61-66 depending on map. That is a huge fluctuation maxing out sometimes at 120, and catching up from a low 60 fps drop which can induce micro stuttering depending on your cpu. At 1080p, MSI Afterburner OSD monitoring is reporting 1260-1475MB’s of video memory being used with the video settings above. Personally, I’m sticking with a fps cap of 75 now. With my hardware, the custom user.cfg file, and tweaked in game video settings I’m now running a solid 75 fps with no drops below that. After a year away from game, seems the game might be optimize somewhat better than a year ago. With the same user.cfg file above, I’m now running full Ultra settings with Resolution Scale at 125%, AA Deferred: Off, AA Post: Low, Ambient Occlusion: Off and maintaining 68-75 fps, capped at 75 fps. Battlelogs page with the animated video in the background – Turn off. Noticed when not gaming, just checking with B-logs page open, my processor fan “ramped” up a bit, cpu running 8-11% just sitting idle. When I minimized the page, fan slowed up, cpu went to 0%, and maximizing the page brought fan speed cpu back up a bit. How to turn off: Top right on B-logs page under your nickname, Settings > General tab, near the bottom “Local Settings” > “Enable video background for this device/browser” – disable it. Every little bit helps! Another setting in Origin – Disable Origin In Game. Origin Client > Origin tab > Application Settings > Origin In Game > Disable (remove check mark) “Enable Origin In Game” (disable it). Windows Control Panel > power settings and make sure that’s on balanced, or high performance and NOT power saver. 12-28-13: At game roll out, even though I have now figure out the performance problems on my end, and core parking on Windows 7, the mechanics of the game itself is unplayable. Hit registration alone is so poor, it is enough to keep you away from this game. 3 or 4 game patches to fix some issues have created other problems, and have made game play worse for many. 6 weeks now, and not very interested in the game already. Ok, maybe hit registration and accuracy is my own problem, but I know when I’m point blank 6-8 burst shots what seems to me as dead center mass and no hit markers. But ducking behind cover and taking 3-5 shots while behind cover is no good either. 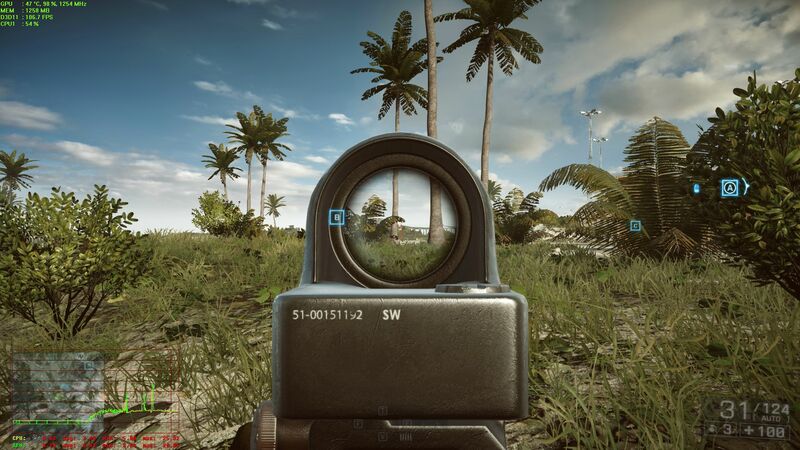 Getting shot behind cover is much worse in BF4 than BF3 for sure. Makes Bf3’s hit registration like 10k gold. The only crash I experience is complete server crashes, have only experienced one “bf4.exe App Crash”. Reading through Battlelog PC fourm, with MANY, MANY having continued problems starting the game, or crashing out constantly. I’m lucky for the performance I have experienced has been better than most others. Update: I stopped playing Battlefield 4 back last January 2014. All I can say, is I hope EA/Dice works the game play, and performance issues that many are experiencing out in time. Hope the tips above help you out. Is there a way so that hitting the ” b ” key will not open the console? Your “b” key is opening the console?? Now that is strange, but with this game so far, does not surprise me at all. Have no idea, but…. Not sure you can bind a key to the console ~ tilde key, but I’d check your keybinds, all of them. See if or what that “b” is keybinded to. Edited; Hummmm, will have to check that myself. But just did some googling,, looks like the B key and the console is listed as a Battlefield 4 Beta Bug,, well looks like that to carried over. Oh man, what a mess this game is. http://forum.symthic.com/battlefield-4-technical-discussion/5447-bf4-beta-bugs/ listed under “Moderate”, 6 lines down. Do you copy and paste the entire .cfg file, or do you open the file in notepad and copy and paste the text?